Rattle The Cage Productions is a non-profit corporation operated for educational and charitable purposes within the meaning of Section 501 (c)(3) of the Internal Revenue Federal tax code. RTC’s purpose is to educate the public on animal, wildlife, and nature issues through thorough investigations and research, compelling film/video production, special media projects, and educational outreach. RTC provides support and expertise to animal rescue efforts including disaster response management, communications, translations, and field rescues. RTC conducts work-for-hire investigations on wildlife and animal rights criminal activity. RTC conducts work-for-hire video production for other non-profits focussed on humanitarian, nature, wildlife, and animal rights/welfare issues. RTC’s programs are designed to be inspirational, to raise social consciousness about the causes on a local and global level. RTC collaborates with other non-profit organizations operated exclusively for educational and charitable purposes. Tim is the vision and the force behind the films of Rattle The Cage Productions a non-profit production company focusing on wildlife conservation and animal welfare issues. He is an award-winning director and producer of three critically acclaimed films. The latest, How I Became An Elephant received the Best Children’s Program award at the esteemed Jackson Hole Wildlife Film Festival. He sailed the Antarctic Southern Ocean with whale warriors, trekked across Kenya with armed wildlife rangers, explored the foothills of the Himalayas in search of the elusive Red Panda, filmed with the Prince of Bhutan in the world’s most dangerous bicycle race, and was embedded with rebel Shan forces in Northern Myanmar. Frontline filming and photography in Africa for most of his life, Nigel trains rangers to protect African wildlife from poachers and people from jihad terrorist attacks. Nigel is British special forces trained, studied new media and journalism at the London School of Music and Media. Nigel has a wilderness guide license under the FGASA system in South Africa. He has worked in security and anti poaching since 2008 as well as a freelance cinematographer in Harare, Johannesburg, Kariba and Victoria Falls. Jon never stops moving. He’s written, directed, produced, dozens of award-winning shorts at SxSW and Toronto INTL FILM FESTIVAL. His enthusiasm and determination to create positive change through his art led him literally to the “edge of the world.” A South Florida resident, much of his filming is done in Florida, but his work has taken him to such far-off places as Nepal, Thailand, Burma, and onto the Antarctic ice with the Sea Shepherd Conservation Society. His cinematography has been recognized with the Grand Jury Prize for Cinematography at the Atlanta Film Festival and “Best Documentary” award at the Monaco Film Festival. 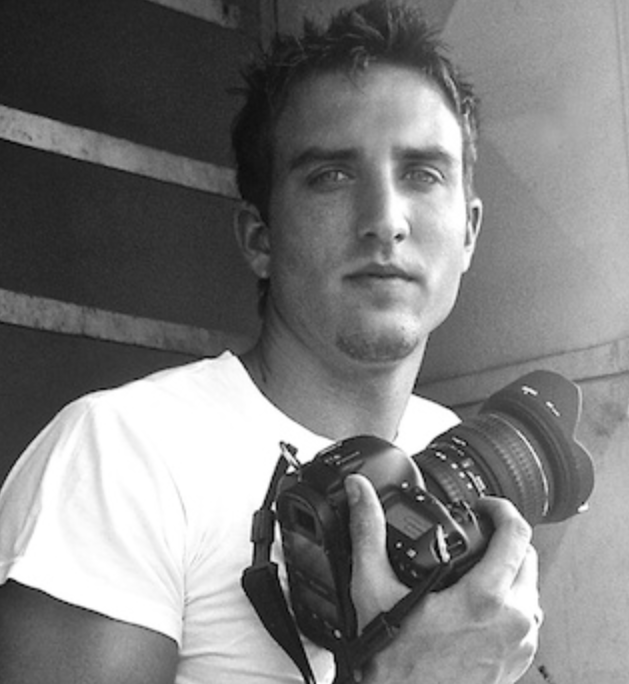 His work on Rattle the Cage Production’s At the Edge of the World resulted in Haskel Wexler’s “Best Cinematography” award at the Woodstock Film Festival. Simeon is a five-time Emmy-winning cinematographer that has a deep passion for animals and creating content that inspires people to make a difference. Simeon recently returned from Tanzania after working on a new anti-poaching show aimed at helping to save the African Elephants. He spent the best part of seven years sailing around the world documenting the Sea Shepherd Conservation Society including five seasons of the Animal Planet # 1 rated show “Whale Wars”. Now based in the States, Simeon is currently working in Alaska as a Director of Photography for BBC Worldwide. The show “Life Below Zero” is the second highest rated show for National Geographic. Simeon has worked in the industry for over ten years and has experience filming in all seven continents! For the last 20 years, Cathy has served as a Producer of some of the largest events in the adventure sports world - the Tour de France, the Giro d’Italia, OLN's Picabo Street's SnowZone, NBC’s World of Adventure, Red Bull and Baja Off-Road racing events, the Ford Adventure Sport Challenge, the Balance Bar Adventure Series, Ford Gorge Games, Global Extremes, ESPN/ABC X-Games. She has worked closely with both networks and production companies and managed sizable crews and teams. Cathy has overseen all aspects from conceptualization to execution and final delivery. She has identified and managed on-screen talent, written scripts, and formatted and constructed full show outlines. Cathy is experienced at providing a substantial amount of client service and strategy for sponsors, along with brand-integrated content and cross-platform opportunities. David is our Obi-Wan Kenobi. He is a two-time Emmy award-winning filmmaker at National Geographic. He came to the Society 16 years ago as an adventure filmmaker, working in the Himalayas, equatorial rain forests, and polar regions. Over the last decade, David has changed his focus to wildlife filmmaking, traveling the world multiple times in pursuit of wild places and stories. He has captured some of the Geographic's finest images on land, in the air, and underwater. His recent work includes the National Geographic Channel's landmark series "Great Migrations." If David is Obi-Wan then Phil is our Gandalf. Phil lends his wisdom, his wit, and his charm to the creative consortium. Phil’s Ted Talks have been viewed and shared by millions worldwide. He’s the founder and CEO of Kindness Trust - "Act, don’t react. See a need, fix it first. Worry about the details later. If you wait until you are asked you have just missed a golden opportunity." ASSOCIATIONS - Australian Conservation Foundation; Amnesty International; Australian Sports Foundation; Beyond Zero Emissions; Friends of the Earth; Gawler Foundation; Healesville Sanctuary; Huon Valley Environment Centre; Limbs for Life; Manipal Hospital; Melbourne University Gus Nossal Research; Morning Star Children's Learning Centre; Very Special Kids; Wilderness Society Australia; World Vision. Fazeela is an accountant by profession but a wildlife advocate at heart who dedicates countless hours of volunteer work to Rattle The Cage, Care for the Wild, African Network for Animal Welfare, Kenya Society for the Prevention of Cruelty to Animals (facilitating animal rescues), Ulinzi Foundation, Walk with Rangers, and Kenya Wildlife Service. 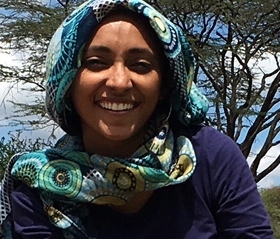 Fazeela liaisons between Kenyan organizations and Chinese expats on several educational outreach programs and is committed to designing and implementing long-term sustainable solutions for African Wildlife. Michael William-Paul is a New York–based Producer, Director, Photographer and Philanthropist. His work encompasses international campaigns, commercial advertising, creative new media campaigns, film/television production and a unique collection of celebrity and candid political portraiture. He has worked with the United Nations since 2001 on matters relating to developmental sustainability and MDGs. Additionally, he is involved with various International Governments, Organizations and Non-Governmental Organizations (NGOs)and has participated on many expert panels. He established Universal Models for Peace (UMP), an organization committed to projects related to the goals of MDGs. Recently brought on as CCO of the World Forums Organization. Michael is the CEO of MWP Studios his production company with flagship location in New York City.